Back in the early noughties, if you owned a smartphone with a touchscreen, then there is a good chance that it would have been a Sony Ericsson P-Series device. Starting off with the P800 in 2002, followed by the P900 in 2003 and P910 in 2004, the P990 (announced in October 2005) looked on paper to be an impressive device that was far ahead of the competition in terms of features. But instead, the P990 turned into something of a disaster for Sony Ericsson instead. The P990 generated a lot a excitement ten years ago. Running the UIQ 3 flavour of Symbian, it features a 2.7" 240 x 320 pixel touchscreen display with a physical QWERTY keyboard that was hidden behind a flip. The P990 (sold as the P990i in Europe) had WiFi, 3G support, expandable memory and a two megapixel primary camera with a secondary one for video calling. It even had a FM radio. Announced in October 2005, it was slated to ship during Q1 2006.. but in fact it didn't start to ship until the second half of the year. Worse still, the software was extremely buggy at launch, so users needed to update the software after they received it.. and even so the user interface had a reputation for being difficult to use. And then to cap it all, Sony Ericsson stopped providing updates for the phone less than a year after it started shipping. Overall, the P990 was something of a disaster.. and it managed to alienate a lot of people who had been loyal fans of the P-series up to that date. At a 2005 price of around £585 / €850 (equivalent to £780 / €1060 today) it was an expensive device too. 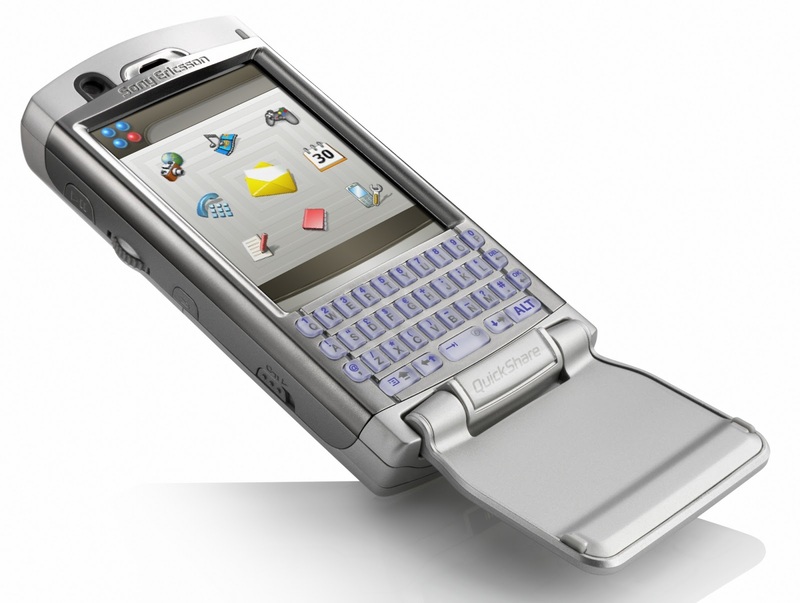 Sony Ericsson followed up the P990 with the P1 launched in 2007, but that found itself competing against the new Apple iPhone and the P1 was the last in the line of P-series smartphones. P990s are commonly available today, starting at around £30 or €40 in working condition. You could buy all five P-Series smartphones for about £150 or so.. if you wanted!